Nominations for the 2010 Run Smarter Awards are now open! 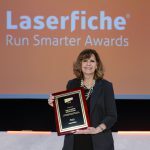 Take a few minutes to tell us how Laserfiche helps your organization run smarter, and you can receive a scholarship and three-night hotel accommodations at the 2011 Laserfiche Institute Conference, a speaking slot at the Conference so you can share your award-winning story with others, a congratulatory plaque and a profile in the UserNews. Run Smarter Awards are presented in the government, justice systems, financial services, healthcare, education and commercial categories, and nominations are due August 2. 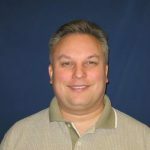 Please e-mail Melissa Henley at melissa.henley@laserfiche.com if you have any questions.